To learn more about programs that we offer, please visit our online registration page. Select Northwest Recreation Center as the loaction and search. If you are interested in renting our facility for your next event, please download the rental agreement. Call (512) 974-6972 for availability. Northwest Recreation Center opened in 1979 and was named for the area of town for which it is located. In 2006, Austin voters approved Proposition 3 – Parks and Parkland bond, issuing $84.7 million to construct, renovate, improve and equip public parks, recreation centers, natural areas and related facilities. Among those was the expansion and improvement of Northwest Recreation Center. The project included additional 7,500 sq ft to expand the center with modern amenities accommodating the growing Northwest Austin community. 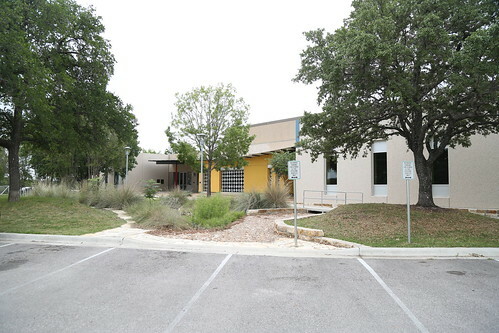 The center reopened its doors after renovations on July 9th, 2011 to a larger “green” facility located in Northwest Austin near the corner of Northland Drive (2222) and Mopac (Loop 1).